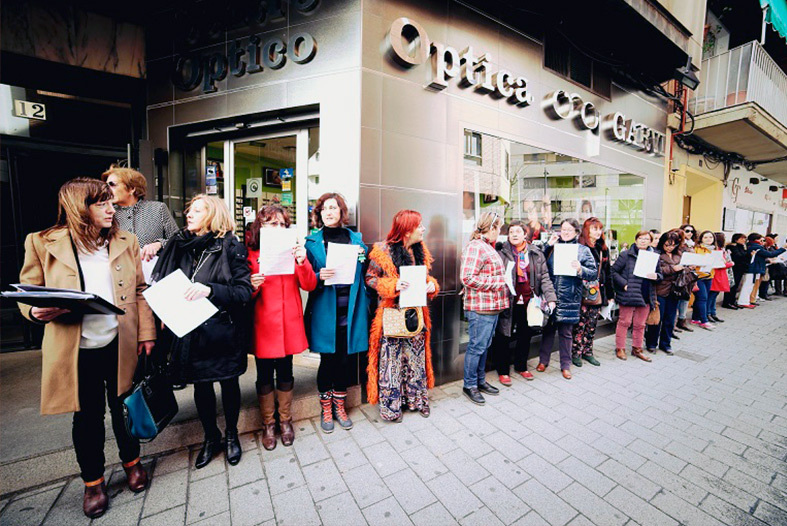 Collective action in which women of different cities in Spain go to the Chamber of Commerce to register the “ownership” of their bodies. 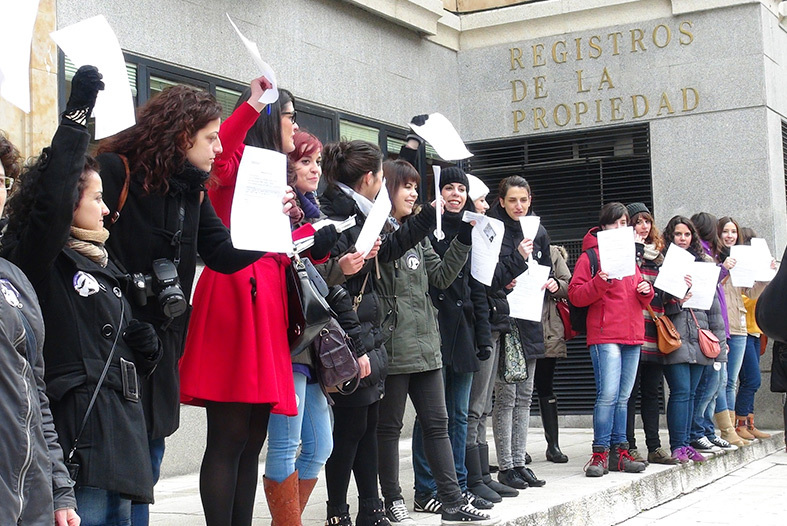 On the 5th. 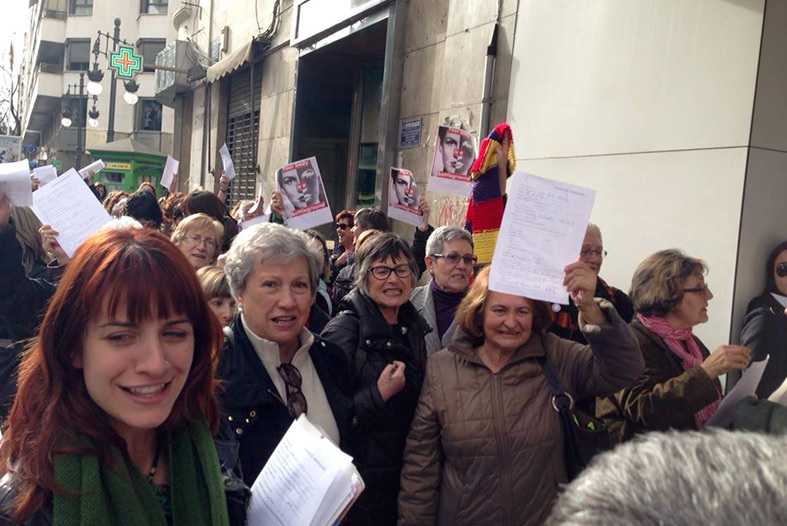 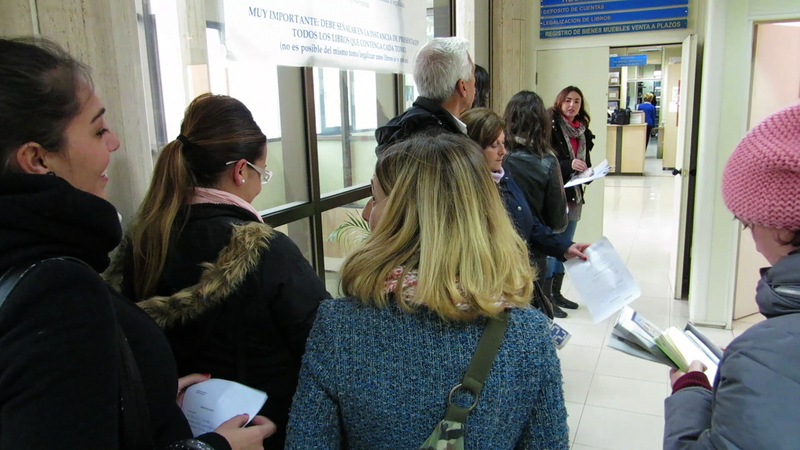 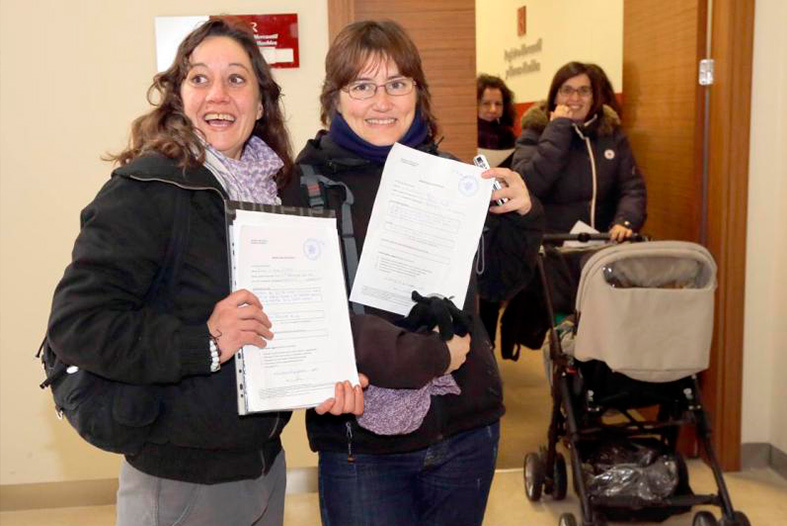 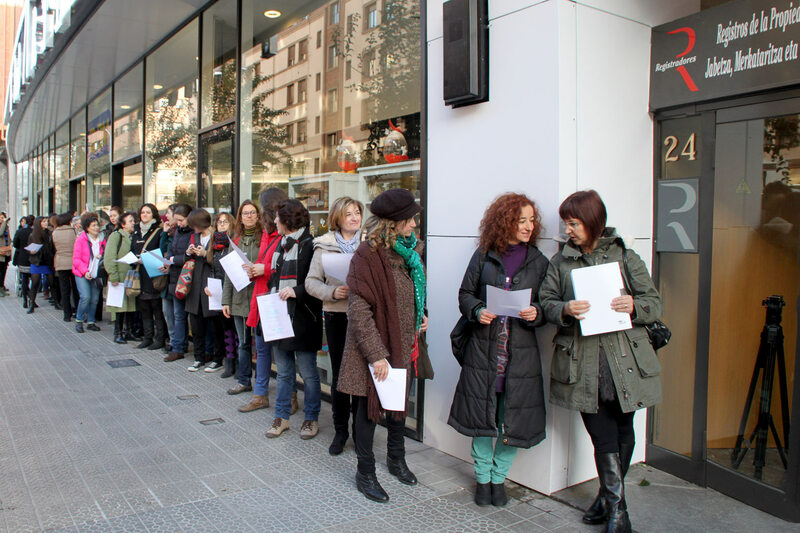 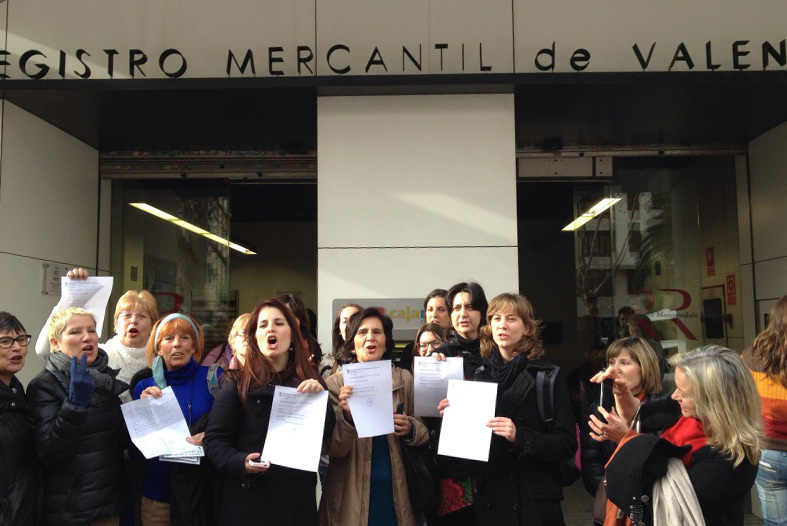 of February 2014 various queues formed in the Chamber of Commerce of Personal Property in Madrid, Barcelona, Bilbao, Seville, Pamplona and Pontevedra: women who demanded to officially certify that their bodies belong to them. 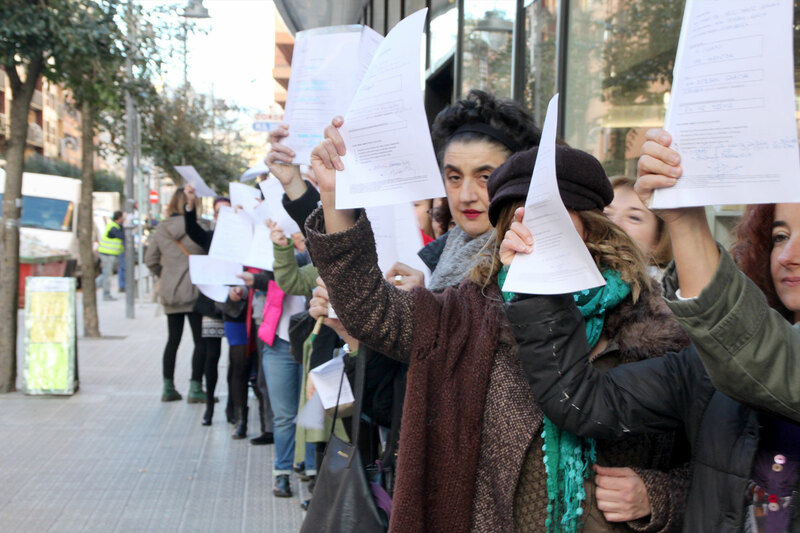 The body is a territory which needs to be reconquered by women: a body which has been moulded by and for others, converted into an object, used as merchandise, assaulted, manipulated and subjected to impossible stereotypes. 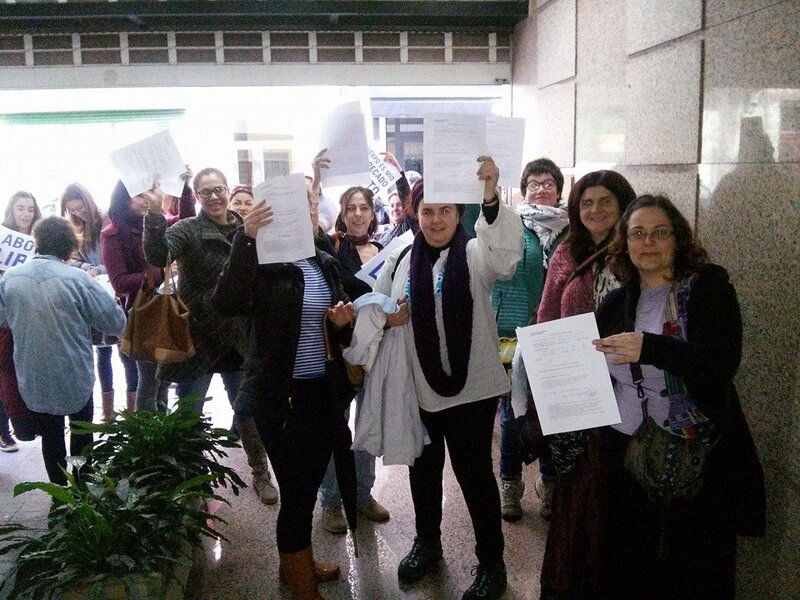 Added to these difficulties is a Draft Bill of the Abortion Law presented by the Minister of Justice, Alberto Ruiz-Gallardón, which means to limit the decision making capacity regarding maternity and morals themselves. 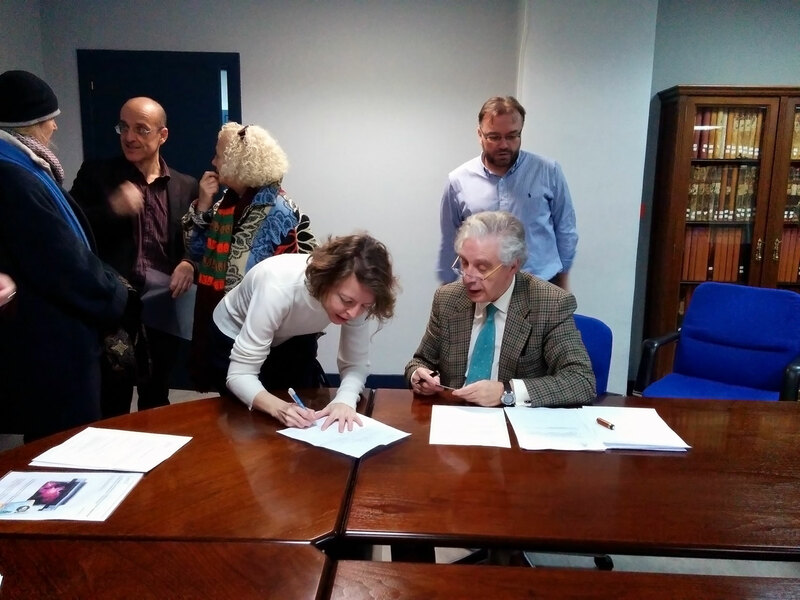 The forms presented and stamped are part of a symbolic action which aims to make this conflict visible. 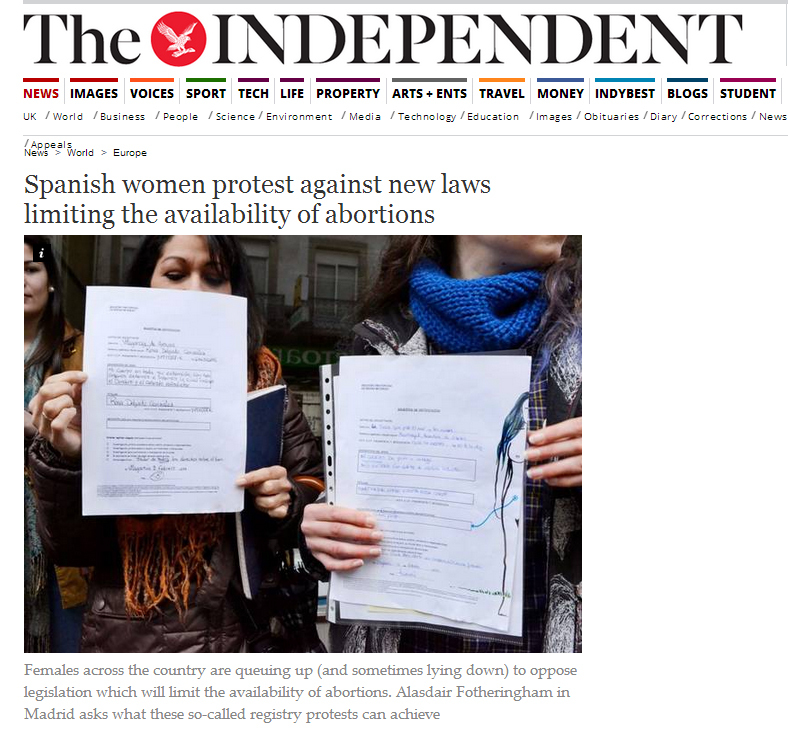 The action is still done by women’s groups in different parts of Spain such as Madrid, Barcelona, Bilbao, Sevilla, Pamplona, Alicante, Tenerife, Valencia, Salamanca, Asturias, Huesca, Albacete, Burgos, Santander, Valladolid… and other countries as Mexico, becoming a social protest movement.